One very common problem for cities located in wet climates is contaminated runoff. This occurs when rain water that cannot penetrate hard paved surfaces runs off into natural waterways. That water is often contaminated by substances on the surface of the pavement, such as motor oil, for example. When that contaminated runoff reaches streams and other natural waterways, it can cause significant damage to the environment. Fortunately, researchers and engineers have developed a product that can help this situation: porous asphalt. Traditional asphalt is a combination of about 95% stone, sand and gravel, and about 5% asphalt cement. Porous asphalt is the same with one very important different: the fine aggregates within the asphalt mix are kept to a minimum, which allows for spaces to form inside the asphalt. This gives rainwater someplace to go. Instead of collecting contaminants on the surface of the asphalt and running off into natural waterways, the storm water permeates the porous asphalt and sinks into the soil underneath the paved surface. In this way, porous asphalt is mimicking what happens in nature, when rainwater is allowed to soak into the soil rather than collecting manmade contaminants that cause harm to the environment. But porous asphalt doesn’t just benefit the environment. It provides other advantages as well. If porous asphalt is used for large paved areas such as parking lots and roadways, it can alleviate the strain on public drainage and sewer systems that so often occurs within a city after a major storm. The construction process involved in creating the new paved surfaces is simplified when porous asphalt is used because it alleviates the need for grading during the initial preparation phase. And studies conducted on porous asphalt have shown that it’s quite durable, often lasting for 20 years or more. Maintenance is simplified as well when porous asphalt is used. Seal coating, which is highly recommended for traditional asphalt surfaces, should not be used on porous concrete. In fact, seal coating will actually damage this new type of paved surface. Rather than periodic seal coating, maintenance personnel should keep the surface free from small particles and debris by using a high-capacity vacuum unit periodically. 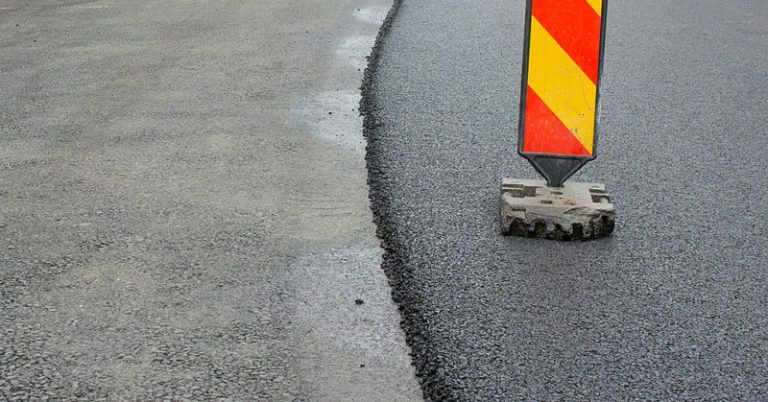 Although there are undoubtedly money-saving aspects of porous asphalt, there’s no doubt that the initial costs are higher than traditional asphalt. Still, it’s good to know that the option is there. Someday in the future, contaminated runoff may not be an issue at all, thanks to the researchers and developers of this environmentally friendly form of asphalt.